I have something cool to show you if you sell stationery or art prints. Custom art print mockups! Taking photos of your artwork can be a chore, and it’s hard to do well, unless you’re a photographer. There are lots of options for stock photo “mockups” that allow you to drop your art into the photo using Photoshop. Once you’ve used these for a while, though, you’re bound to come across someone else using the same photo, and feel unoriginal. And even worse, maybe your customers have seen the same photo before, too, and it makes you look like a copycat business. Having custom photos shot and styled for every one of your products can be daunting, though. Especially if you have a lot of inventory or are regularly designing new artwork. Custom mockup photos to the rescue! Jen, our photographer, does these sometimes for our logo and web design clients. Just another perk of hiring a team who can take care of all your website content for you! We just need to know what dimensions your artwork uses, and what applications you want photos for, and we then take our vast knowledge of your brand, customers, and vision, and design photos you can easily use over and over for your website. And we can shake it up a bit so your customer doesn’t see the exact same photo repeated up and down each page. Here are some photos Jen styled for Adoren Studio. Aren’t these lovely? One of two options Jen provided for a single art print flatlay mockup. Artwork can be added in Photoshop. Here’s the second option with Adoren’s art prints dropped in, and optional props added. A custom styled tabletop scene to add matted or plain artwork using Photoshop. Jen styled a dresser scene using props that will appeal to Adoren’s target customer. The shop owner can drop her photos into the custom art print mockup using Photoshop. Here is the same photo with Adoren’s art dropped in. Here is a “hero photo” feature for the home page of Adoren’s website, using the stock photography. Artwork can be rotated for each new collection. This simple styled photo of a nursery can be adjusted and added to to display wall art for sale. Here is the same photo with artwork, graphics, and text added. The color of the dresser was changed using Photoshop. 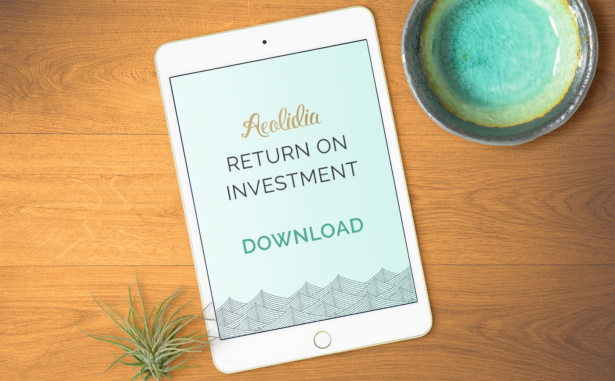 When you hire Aeolidia to design your logo or website, we can include a photographer, copywriter, marketing consultant, and even help you out with your web stats and MailChimp setup. We aim to make your website highly successful, and that involves a lot of content and marketing strategies. We would be delighted to do this for you. If you’re curious about the investment, please grab our rate sheet to help with the decision. Did you really mean a 1% Conversion rate up above? That doesn’t seem like a notable difference. Perhaps a typo. The average conversion rate is 2 or 3% for a website, so a 1% improvement on a site that’s getting less than that can easily double sales. If you’re getting 5000 visitors per month, that’s an extra 50 sales, which is an additional $45,000 per year if your average order value is $75. I hope that makes sense!